The goal of the Fairphone 2 was to make it a bit more durable, the company says. Fairphone, the Dutch company that aims to sell socially responsible smartphones, is working on a second model that be repaired with little hassle and won’t easily break. The company is also sticking with its goal of using conflict-free or fair trade minerals. One of the company’s key aims with the Fairphone 2 was to extend the longevity of the product. The receiver, rear camera and speaker units can be repaired with the help of a screwdriver. To guide users, each unit is connected to the chassis with a set of color-coded screws. 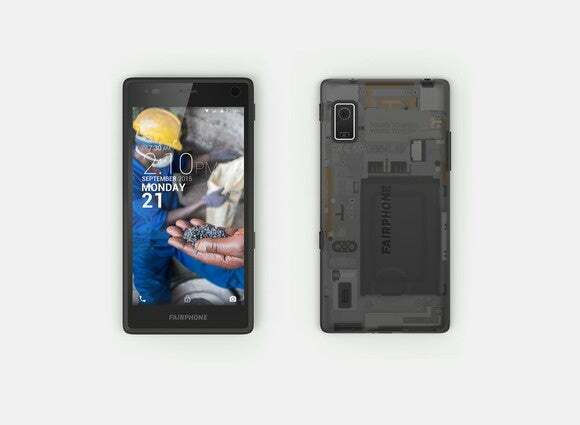 Fairphone is betting that buyers will sacrifice slimness for a smartphone that’s easier to repair. The result is a phone that’s 11 millimeters thick. A second goal was to build a device that doesn’t easily break. Most current smartphones are simply too fragile, according to Hebert. The Fairphone 2, on the other hand, should survive a drop of about 2 meters onto concrete. The robustness is in part possible thanks to a rubber rim that wraps around the screen. Fairphone decided against making the phone completely sealed to keep out water and dust, as doing that conflicted with other design goals, especially the ability to open and repair the device. The aim is still to manufacture a smartphone that doesn’t use minerals from conflict zones, is recyclable, and is made by workers who are treated well. The Fariphone 2 will be available for pre-order before the end of August, and then ship during the following couple of months, the company said. Pricing wasn’t announced. The first model, of which Fairphone sold 60,000, scored 7 out of 10 for repairability in a teardown test by repair website iFixit. Positives included that it’s easy to open up the device and access the components. However, the glass is fused to both the display and the display frame, which increases repair costs—a mistake Fairphone has learned from. Apple has a reputation for building products that are difficult to fix, but the iPhone 6 and 6 Plus both got a 7 out of 10 score on iFixit. The company still uses proprietary Pentalobe screws, and it doesn’t share repair information with independent repair shops or consumers. But the display assembly comes out easily and the battery is easy to access. For people who want a high-end Android smartphone that’s easily repaired, the G4 from LG Electronics is a good option. It was awarded an impressive 8 out of 10. The only drawback is that the glass and LCD will need to be replaced together if one or the other breaks. 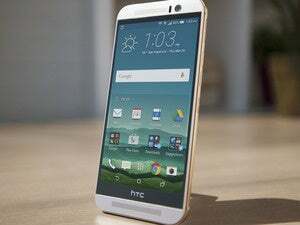 Two other top-of-the-range smartphones, the Galaxy S6 from Samsung Electronics and HTC’s One M9, didn’t fair as well, scoring 4 and 2 out of 10, respectively. Strong adhesive on the rear glass makes it very difficult to gain entry to the S6’s innards. On the One M9 adhesives make many components difficult, and even dangerous, to remove and replace, iFixit said.